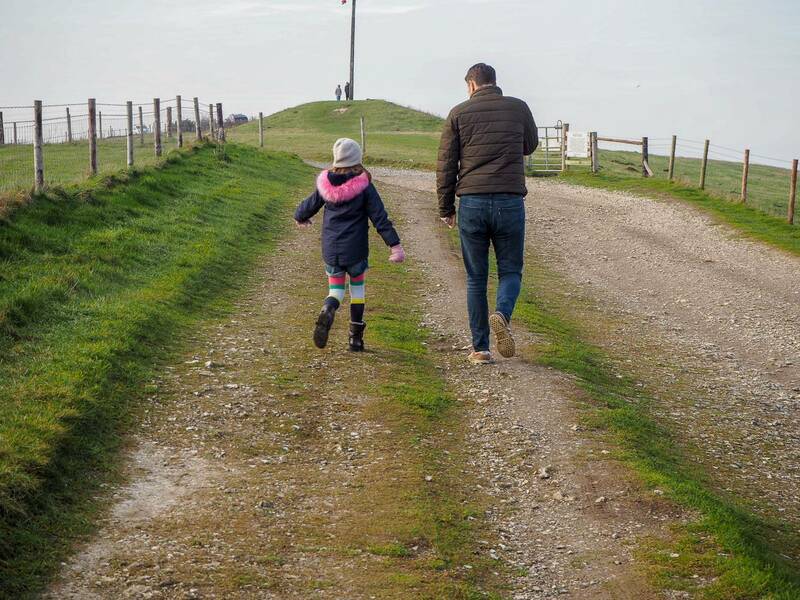 We are a family that love to be outdoors, every weekend even on cold afternoons, we wrap up warm and head out for a walk. 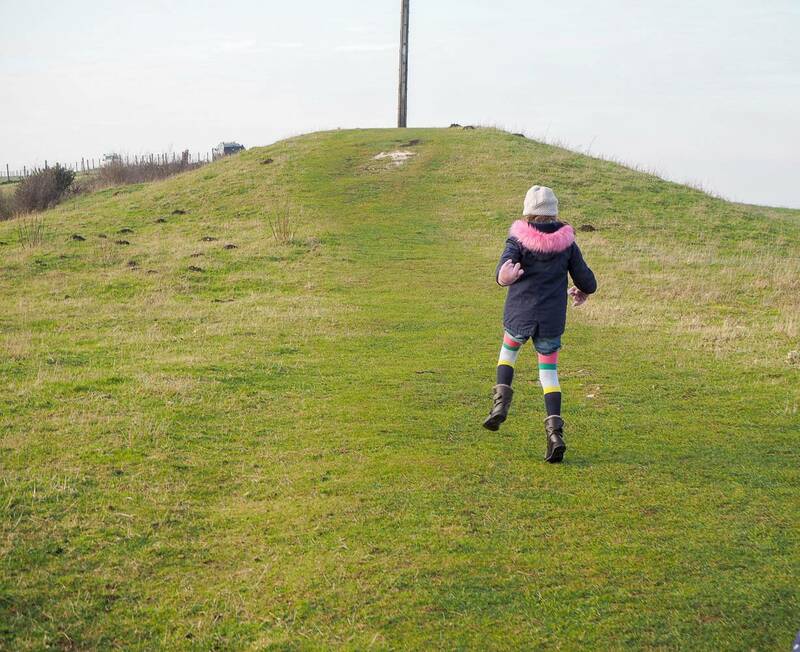 The girls love to run around, Holly collects sticks and Alice likes to walk and talk, normally with daddy. They are so similar! Because we spend a lot of time outside, I’ve always naturally assumed the girls were getting enough Vitamin D and it didn’t occur to be that they might not be and to give them vitamin D supplements. I’ve been surprised to learn that its almost impossible for many people living in the UK to get the requirement amount of vitamin D that we need. New guidelines day that everyone over a year old should take supplements, particularly during the winter months. For our children, vitamin D is important for their development, in particular their immune system and absorption of calcium into their body. Which is essential for healthy bones and teeth. Dr Sarah Jarvis who has over 30 years experience in the NHS, and over 26 years as a GP has put together a guide to help us understand the importance of vitamin D more and dispel the myths. The most natural way for us to get vitamin D is to expose our bare skin to sunlight (ultraviolet B rays). But we all worry about exposing our skin to the sun, and getting burnt that we tend to cover up. The truth is you only need to expose your skin for around the time it takes for your skin to begin to burn, to get the vitamin D needed. How much vitamin D that is produced from sunlight, depends on the time of day, where you live in the world and the colour of your skin. The more skin you expose the more vitamin D is produced. You can get small amounts of vitamin D from food, including oily fish, red meat, egg yolks, cereals and milk. However, you would need to eat either, 10 tins of tuna, 7 bowls of fortified cereal, 10 rump steaks, 10 lambs liver, or 6 boiled eggs to get enough vitamin D from just your diet. I’m no one would want to do this! Where we live, can have an effect. If you live in a city with a high-rise buildings, this can affect the amount of vitamin D people absorb because of the limit sunlight exposure to bare skin. A lack of outdoor space or children not spending enough time outdoors, can be a contributing factor to the increase of vitamin D deficiency in this country. Offices in urban areas provide very little natural sunlight exposure and this can be a contributing factor. Polluted air soaks up UVB or reflects it back into space, which means if you live somewhere where there is lots of pollution, your skin makes less vitamin D.
There are different vitamin D supplements, and it can be difficult to know which brands and products to take. 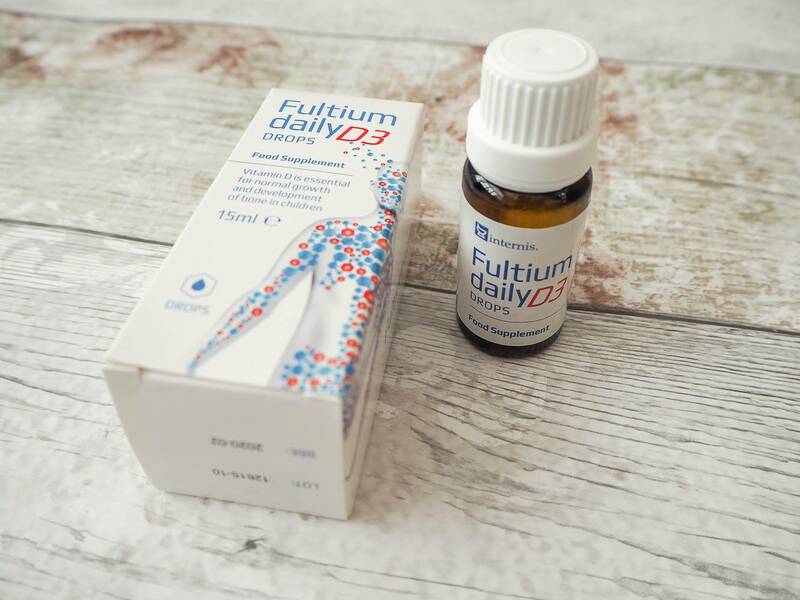 Fultium Daily D3 is one of the few vitamin D tablet supplements specially formulated in a high-quality oil which, unlike dry powered tablets, is easily and effectively absorbed by the body. Dr Sarah Jarvis is working with Fultium Daily D3 to raise awareness of vitamin D deficiency. As a family we have started to take Fultium Daily D3, a vitamin D supplement that is recommended for children and breastfeeding mothers. Everyone in the UK, aged 1 and over requires 10 micrograms (μg) of vitamin D a day, particularly during the winter months. Formulated specifically to meet the Scientific Advisory Committee on Nutrition’s (SACN) and Public Health England’s (PHE) new recommended vitamin D guidelines is Fultium Daily D3. Fultium Daily D3 is a new, high quality, pharmaceutical grade supplement. Available in pharmacies only, in packs of 30s (RRP £3.99), 60s (RRP £7.49), 90s (RRP £10.99) and as 15ml drops (RRP £7.99). 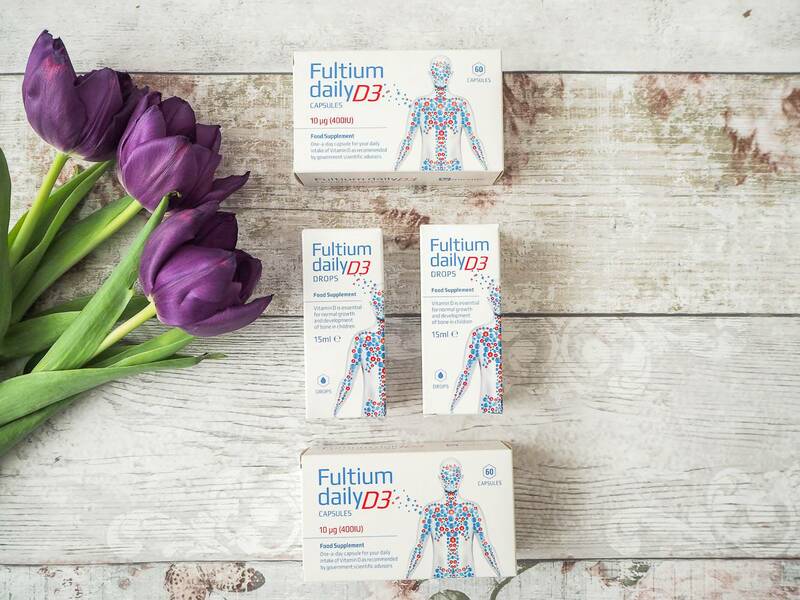 Fultium Daily D3 is free from artificial preservatives and sweeteners. The capsule gelatine is both Halal and Kosher certified and the drops are suitable for vegetarians. Even when I’m watching the girls running around outside, I now know that isn’t enough for them to have the recommend amount of vitamin D and with them also taking a supplement, I can now relax knowing they are. Disclosure: I’m working on a paid partnership with Fultium Daily D3, but all words, opinions and content are entirely my own. I love the sound of this Vitamin D Supplements. I will look out for it. We have been taking these lately too. Both myself and Lew were deficient and so I am super paranoid about making sure we are getting enough vitamin d now! We just need a holiday too…! It is definitely important for us all to get enough vit D and these supplements sound great!